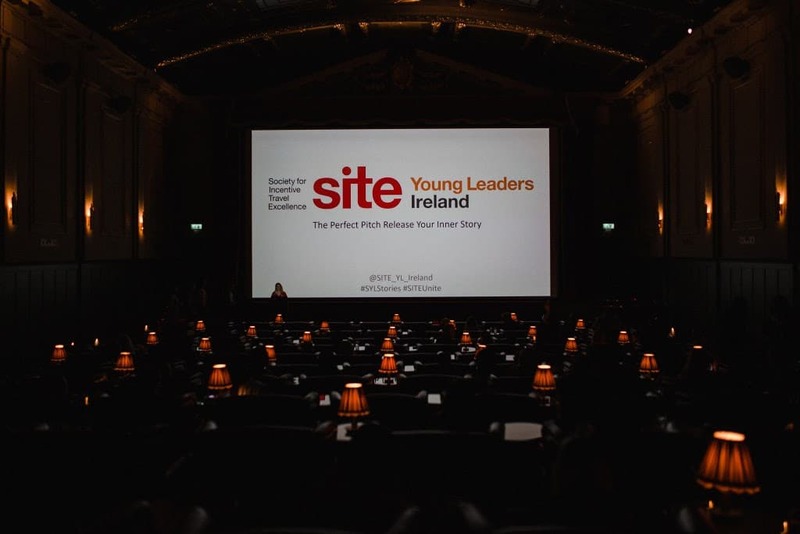 Fulfilling its mission to create the industry leaders of tomorrow, SITE Young Leaders Ireland held “The Perfect Pitch: Release Your Inner Storyteller” workshop at The Stella Theatre in Dublin, Ireland on Friday 6 of July, 2018. Sponsored by Dublin Convention Bureau, the event drew over 100 incentive travel professionals to the newly restored Stella Theatre in Ireland’s capital to hear how creative storytelling makes for compelling sales pitches. The venue, a 1920s iconic cinematic landmark in the heart of Dublin, mirrored the overall tone of the event demonstrating the values of authenticity and originality. Highlights of the day included talks given by actor, writer and director, Phil Kingston and presenter mentor, Rowan Manahan while Dublin Convention Bureau shared their sustainability story emphasising their continued efforts to minimise any negative impact on the environment as a result of meetings and events. SITE global CEO, Didier Scaillet, was also in attendance and provided the closing remarks, complimenting the local SITE community and underlining the importance of the SITE Young Leaders Program. “SITE Ireland is known within the SITE community as an energetic chapter with a dynamic leadership and board. Today’s event, aimed at our next generation of #incentiveprofs, was a perfect example of SITE’s value proposition – quality education, great business exchange, uncompromising focus on the business case for incentive travel and a truly vibrant, inclusive community”.